From the time that humans began to leave their nomadic ways and live in settled societies about ten thousand years ago, we have needed to build structures: to shelter ourselves, to store our goods, to honor the gods. The easiest way to build is with dirt. Mud, clay, any kind of earth. Pile it up and you have walls. 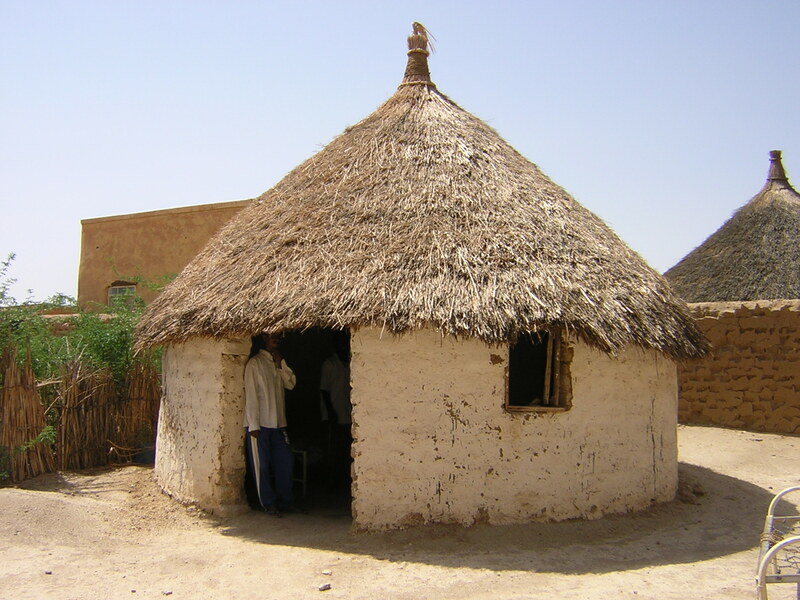 A few walls and a thatched roof, and you have a hut. But earthen construction has many shortcomings. Dirt isn’t very strong, so you can’t build very high or add multiple stories. It tends to wash away in the rain, so it really only works in hot, dry climates. And it can be burrowed through by intruders—animal or human. We need something tougher. 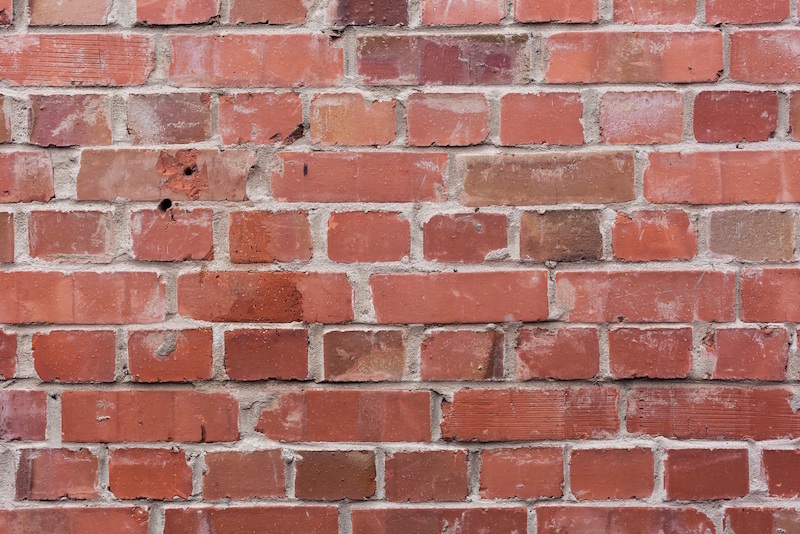 A material that is hard and strong enough to weather any storm, to build high walls and ceilings, to protect us from the elements and from attackers. Stone would be ideal. It is tough enough for the job, and rocks are plentiful in nature. But like everything else in nature, we find them in an inconvenient form. Rocks don’t come in the shape of houses, let alone temples. We could maybe pile or stack them up, if only we had something to hold them together. If only we could—bear with me now as I indulge in the wildest fantasy—pour liquid stone into molds, to create rocks in any shape we want! Or—as long as I’m dreaming—what if we had a glue that was as strong as stone, to stick smaller rocks together into walls, floors and ceilings? This miracle, of course, exists. Indeed, it may be the oldest craft known to mankind. You already know it—and you probably think of it as one of the dullest, most boring substances imaginable. I am here to convince you that it is pure magic and that we should look on it with awe. Let’s begin at the beginning. 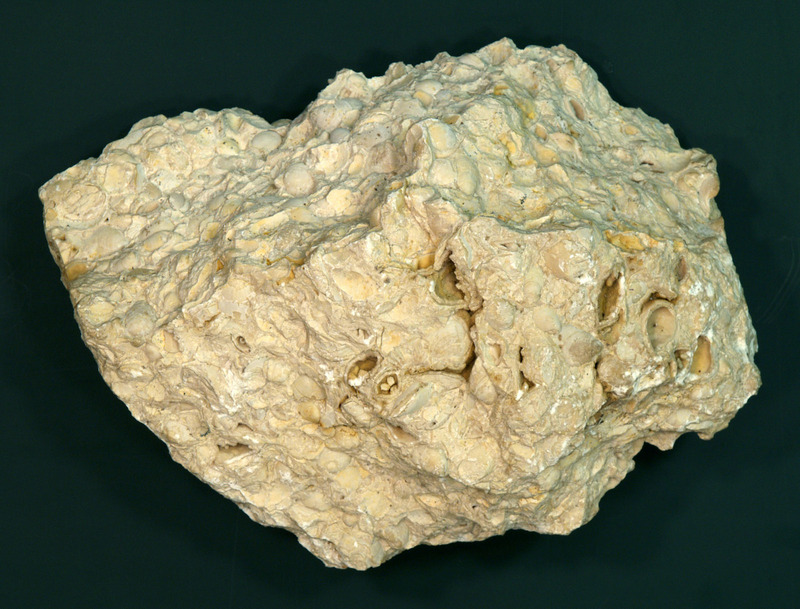 Limestone is a soft, light-colored rock with a grainy texture, which fizzes in the presence of acid. Chalk is a form of limestone. What distinguishes limestone and makes it useful is a high calcium content (“calcium” and “chalk” are cognates). Specifically, it is calcium carbonate (CaCO3), the same substance that makes up seashells. In fact, limestone, a sedimentary rock, is often formed from crushed seashells, compressed over eons. Limestone can be used for many purposes, including fertilizer and whitewash, but its most important industrial use is in making cement. When it is heated to about 1,000 °C (e.g., in a kiln), it produces a powder called quicklime. Chemically, what’s going on is that burning calcium carbonate removes carbon dioxide and leaves calcium oxide (CaCO3 + heat → CaO + CO2). Quicklime is a caustic substance: touching it will burn your skin (hence “quick”, meaning active, “alive”). But perhaps its strangest property is that when mixed with water, it reacts, giving off heat—enough to boil the water! The result, called “slaked” or “hydrated” lime, is calcium hydroxide (CaO + H2O → Ca(OH)2 + heat). Further, if you pour a lime-water slurry into a mold, not too thick, and expose it to the air, a still more amazing thing happens: in a matter of hours, the mixture “sets” and becomes once again as hard as stone. The calcium hydroxide has absorbed CO2 from the air to return to calcium carbonate (Ca(OH)2 + CO2 → CaCO3 + H2O), completing what is known as the “lime cycle”. In other words, by mixing with water and air, this powder—a basic cement—has turned back into rock! If this technology hadn’t already existed since before recorded history, it would seem futuristic. This basic technology has been known since prehistoric times: the kilning of limestone is older than pottery, much older than metalworking, and possibly older than agriculture. But over the millenia, better formulas for cement have been created, with superior mixtures of ingredients and improved processes. Pure lime cement needs air to set, so it can’t set if poured too thick, or underwater (for instance, on a riverbed to form the base of a column for a bridge). The Romans, who were great users of cement, discovered that adding volcanic ash, called pozzalana, to lime would produce a cement that sets even underwater; this is called a “hydraulic cement”. 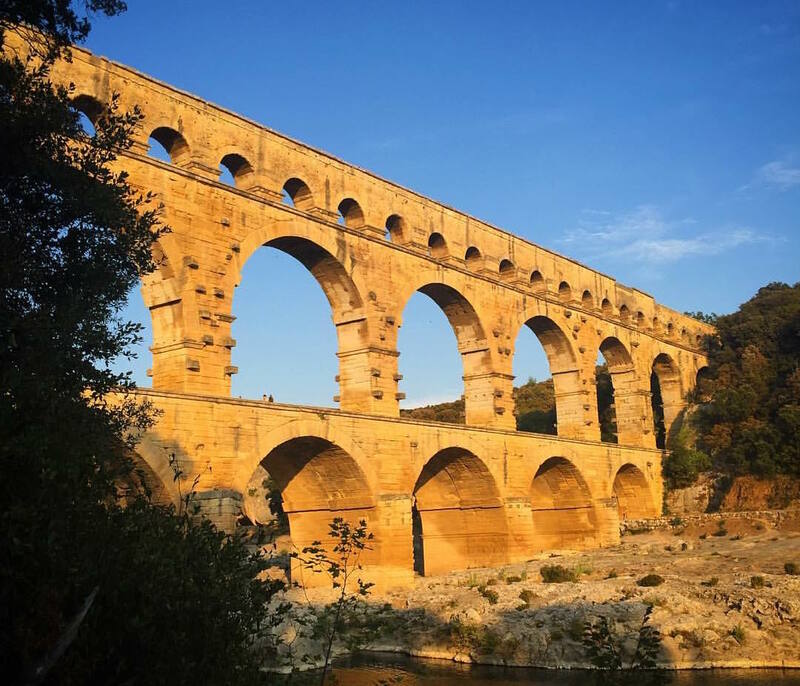 They used this “Roman cement” to build everything from aqueducts to the Colosseum. Another common hydraulic cement, called “natural cement”, is formed from a mixture of limestone and clay, which sometimes occur together in natural deposits. Since the mid-1800s, the most widely used cement is a type called Portland cement. Without going into too much detail, this is made through an unintuitive process that involves heating a lime-clay slurry to the point where it fuses together into a hard substance called “clinker”. Clinker was originally considered waste material, a ruined product—until it was discovered that grinding it into powder produced a cement that is stronger than Roman or natural cement. (!) 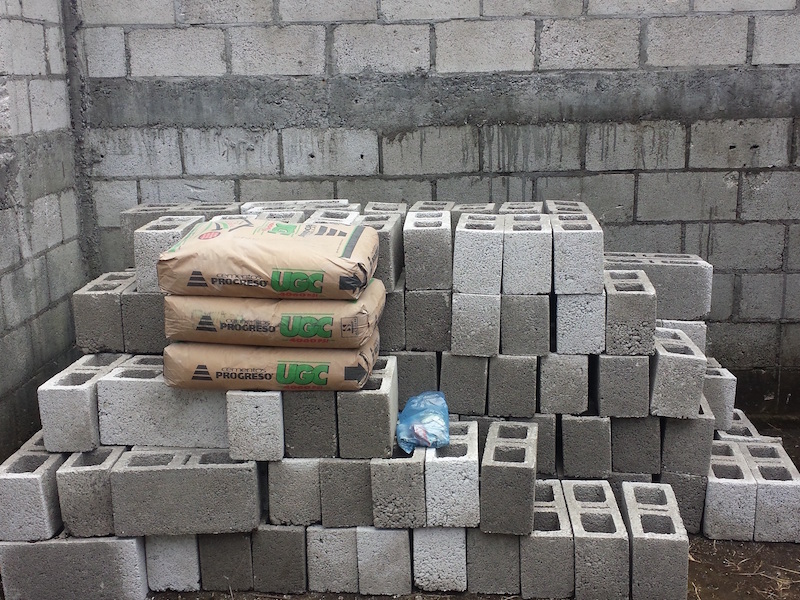 Today a wide variety of cements are available on the market, optimized for different conditions. No matter the formula, however, all cements have one shortcoming: they are very strong under compression, which is the kind of strength needed in a column or wall, but weak under tension, which comes into play, for instance, when a beam buckles under load. The Romans dealt with this problem using arches, which direct forces into compression along the arch. 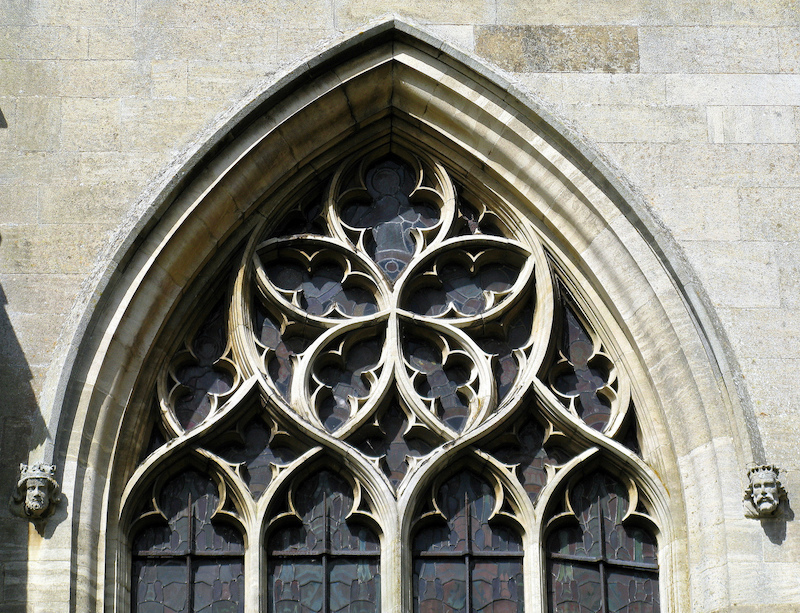 Medieval builders created the pointed Gothic arch, which could stretch even higher than the round Roman ones, and the flying buttress, which added support to the walls of their tall cathedrals. But in the twentieth century, a new way of building took over: reinforcing the concrete with steel. Steel, unlike concrete, has high tensile strength, so this “reinforced concrete” is strong under both compression and tension. 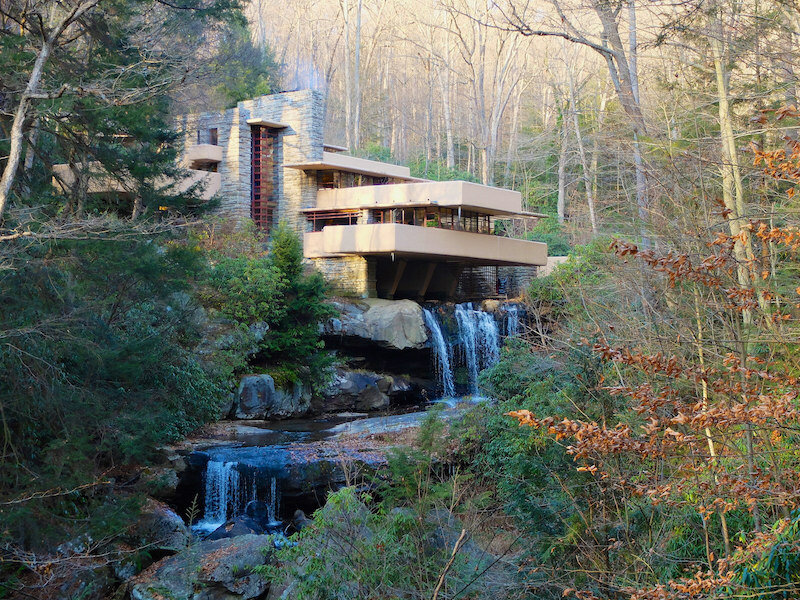 The reinforcement bars created for this purpose are called “rebar.” Reinforcement allows concrete to be used not only for foundations, walls and columns, but for cantilevered structures such as the decks of Fallingwater. 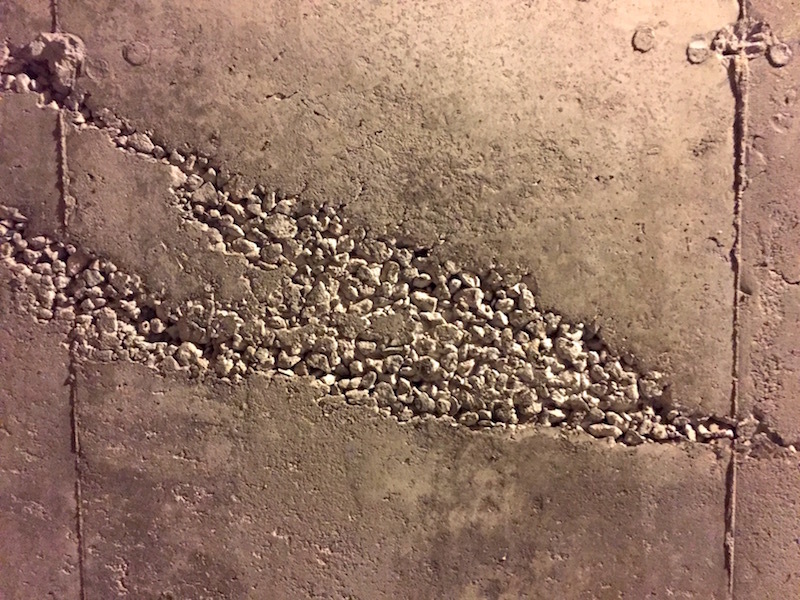 This is cement. We start with rock, crush and burn it to extract its essence in powdered form, and then reconstitute it at a place and time and in a shape of our choosing. Like coffee or pancake mix, it is “instant stone—just add water!” And with it, we make skyscrapers that reach hundreds of stories high, tunnels that go under the English channel and the Swiss Alps, and bridges that stretch a hundred miles. If that isn’t magic, I don’t know what is. Sources and further reading: Concrete Planet: The Strange and Fascinating Story of the World’s Most Common Man-Made Material, Geology.com, Minerals Education Coalition, Portland Cement Association, and many pages on Wikipedia. Thanks also to Doug Peltz of Mystery Science for helpful conversations.